First and foremost, I would like to thank everyone who took part in the International Summer College at Ewha, the selectors who chose me to receive the Washington, DC Chapter of EWUUACNA Scholarship, the Peace Buddies, and especially Mimi Ahn for being such the great help that she was throughout my entire summer even though I probably bombarded her with emails constantly (sorry!). It was such an incredible opportunity which I will always cherish fondly and will never forget, along with all the friends and colleagues I met during the program with whom I hope to remain in contact. Moving on to my actual experience studying and living at Ewha, maybe I should start with my actual arrival in Seoul. I was supposed to arrive from the airport and take a taxi with some other students arriving around the same time as me but the group was larger than expected and we ended up taking these minivans to the school. The first minivan actually fit the majority of the group and the remaining group took the second bus; it was 4 of us, including myself. These 3 people, who I happened to meet by chance by missing the first minivan’s capacity of riders, turned out to become my 3 closest friends during my stay in Korea, we even continue to keep contact on a daily basis months after the session ended. 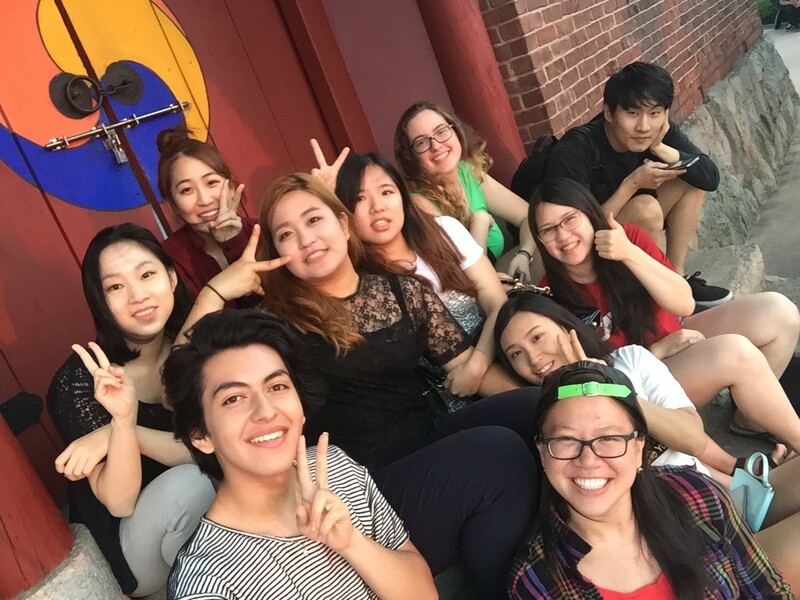 We would go out, hang out, eat together, and study everyday, so much so that a lot of the fellow session members assumed we all knew each other beforehand and went to Korea together. I mainly want to include this portion of my experience just to show how, even in another country, you can meet people who you were destined to meet, I think, because even the smallest choice you make could alter your life forever; applying for this program, amongst the other ones at other universities was that decision that allowed me to have the unforgettable summer that I did. 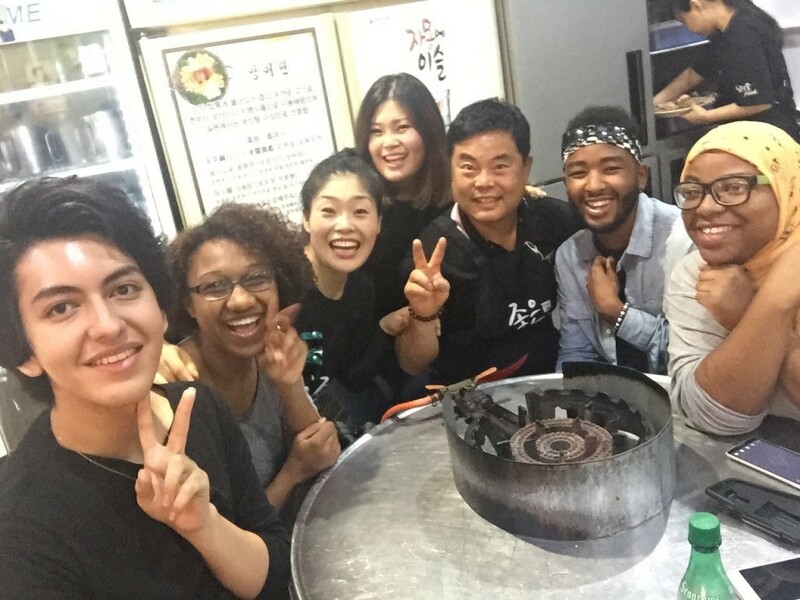 In addition to the people and friends I met within the program, I was also excited to meet members of the program staff and the PEACE Buddies, Ewha students who help you around the school and even friends you can make, we were each assigned. 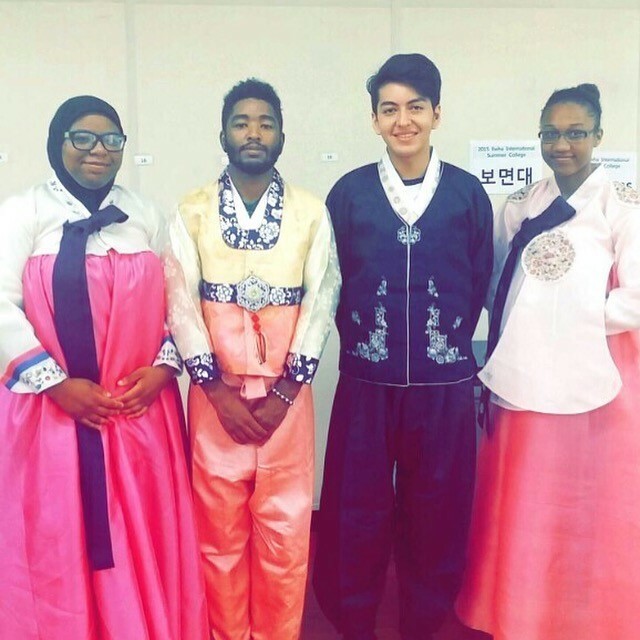 I got to meet her first through email, as she informed me what a PEACE buddy was and then that she was mine, along with information about herself: she is a sophomore at Ewha majoring in French literature. This was very exciting because I was able to communicate with her not only in English, but also in French and Korean, since I am learning the two! 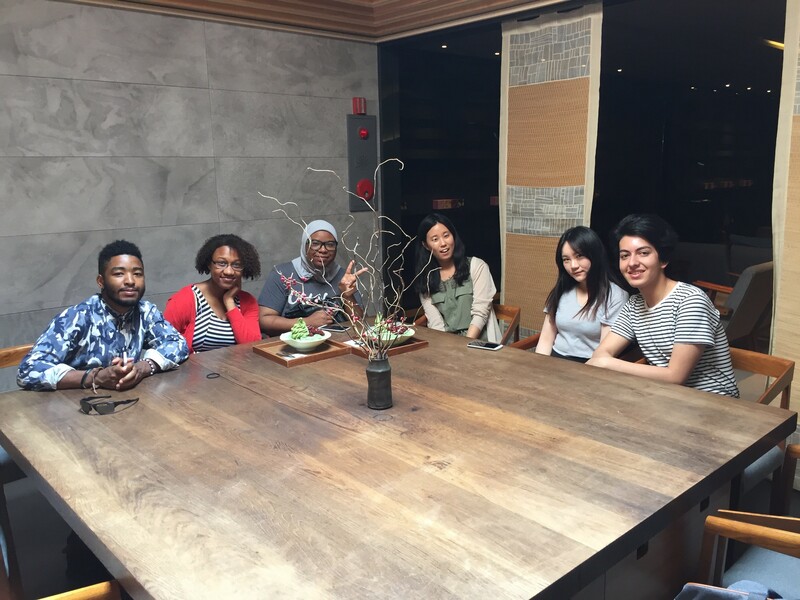 While we were unfortunately not able to meet often, completely on my end as I always had plans with my own friends for lunch, dinner, or even small trips, I really appreciated having someone to talk to and ask questions about the school and advice around Seoul from my PEACE Buddy. Now, as for the classes themselves, I was very thrilled by all the choices of classes offered for the program which I could claim credit for at my home university. I obviously took the Korean language class and also chose traditional painting, which later changed to music because my friends and I all wanted to take the same class without much rigor (we were wrong to chose music for that). In my Korean class, after taking the Korean language placement test, I was put into level 2 and had two teachers who were both wonderful yet challenging. Oh, and did I mention the whole course was taught entirely in Korean? This isn’t the case with beginning levels, but for my being in an intermediate level, the course was conducted and taught in Korean, which really terrified me at first but actually allowed me to dramatically improve my Korean listening ability because I had been teaching myself Korean at home and hardly had any chance to hear any spoken Korean. Also, I noticed I was able to learn a lot of vocabulary because of how much we used throughout the lessons and even began to recognize and put together the meanings of new words based on the vocabulary I learned in class! Just to briefly mention my music class, I had never used or played an instrument at all before then and decided to take the class because I thought it would be an interesting challenge. I quickly learned how much more challenging the class was, as we would learn entire songs in a few days in preparation for the recital we would have at the end of the whole program, in front of the whole program at the closing ceremony. If you really like music and are good with instruments and the like, go ahead and take the class because those students were very accustomed to the rigor I assume, but me n my friends were hardly up for the task. However, the teacher was so kind and generous about how well we were “improving”, which I know is just code for not terrible anymore. Overall, I really enjoyed my classes and teachers and would love to come back next year and do it all over again. The program also offered several off-campus trips and events for us students, usually on Fridays because we didn’t have class, which I would have loved to attend and heard many great things about from those who did so, but unfortunately I didn’t. First of all, you get to sign up for any of the trips you would like to go to (including the DMZ, Lotte World, and the Hanok Village) but if you missed one of the events you signed up for, you weren’t allowed to attend the next event as punishment for not having attended as you reserved. However, in my case I heard differently from one of my friends that if you missed one event you couldn’t come to any of the following ones, which I finally heard differently from my PEACE buddy at the end of the program after all the events had concluded anyways, to my disappointment. I think something important I need to point out is the cuisine of Korea. Now, if you know anything about Korean food than you already know that it relies heavily on spicy flavors and meat. The spicy part is not what I want to bring up, as I’m Mexican and used to the heat. However, I am mostly vegetarian and I heard before my visit to Korea that it would be pretty hard to find a lot of meatless options in Korean without seeking them out specifically, eating the same things everyday, or simply making your own food. Because of this I decided that, just for the month, I would eat meat in order to make my life easier while I focused on studying and having fun, but I know for others this isn’t exactly an option, morally or religiously, and because of that I would give a word of caution for vegetarians who come to Korea because it is somewhat difficult. Even those who are Muslim and can halal, a lot of times there is a lot of pork everywhere and it may even be in the food you’re eating without your knowledge, according to the dismay and frustration of my Muslim friends. However, besides the worry of eating meat, all the food was amazing, healthy, fresh, and cheap compared to American dining which would have bankrupted me if I tried to go out everyday to eat; a large meal of an entrée and side dished would cost you 5,000-6,000 won at the right place, along with it tasting great. I could continue for pages and pages about the truly spectacular experiences and memories I have of those short yet eventful 4 weeks, but I’ll spare you the reading and bring this memoir to a close. 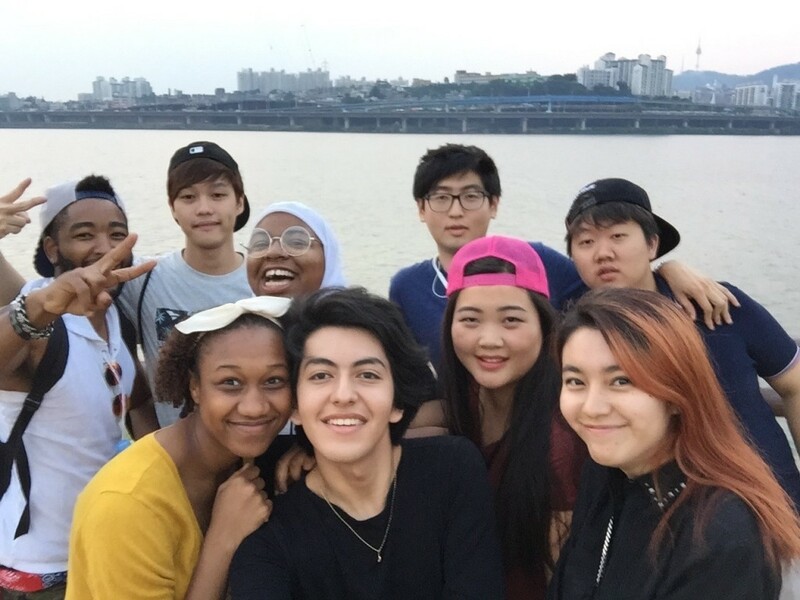 The time I had at Ewha and in Korea was honestly the best time of my life so far and I wouldn’t trade it for anything in the world. I had such a great time that I plan on returning next year to study abroad for an entire year, maybe even at Ewha again! If you were thinking about doing the program yourself, I would say: Do it!